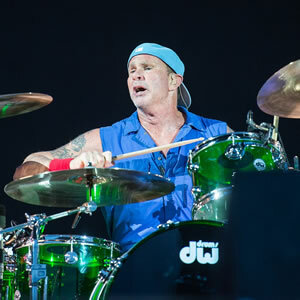 The Red Hot Chili Peppers have been on the road since last April and are scheduled to tour into the fall, but based on recent comments from drummer Chad Smith, maybe the band might not be eager to head out on another long tour anytime soon. Smith told Eddie Trunk of SiriusXM Radio recently that he’s not sure how much more the band has in them in terms of lengthy concert tours. The current tour has dates into October, but time will tell what’s in store for the band after that. Perhaps some R&R in the future will get the band re-energized.